In late 2009, USAID assisted the National Malaria Control Program in identifying a suitable target area for an IRS pilot activity. 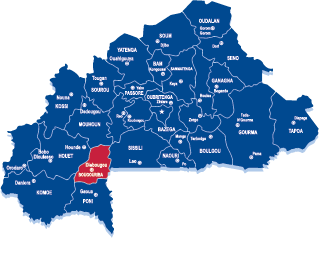 The location was Diébougou District, in Bougouriba Province in the south western region of Burkina Faso. Based on assessments of vector susceptibility, Burkina Faso chose to begin their spray operations with carbamate insecticide. Indoor Residual Spraying was introduced in 2010 with funding from PMI/USAID, and continued through 2011. During the 2010 spray round, 33,897 structures were sprayed (98.9 percent of the target area), protecting 118,691 persons including nearly 25,000 children under five years of age and more than 2,000 pregnant women. In the 2011 spray campaign, 33,897 structures were sprayed protecting 118,691 people.